TEAMAX ADVENTURE had this amazing chance to donate 'Gilrye Fund' to teach 100 students in Daejeon city of South Korea. It was not only TEAMAX ADVENTURE this time, there were K-water, Daejeon Education Government Department, and SK Corportation. Those organazations created the fund to teach outdoor education program to 100 students who are under-privillaged youth in Daejeon city. We divided 100 students in half so we had two time Daecheong Lake outdoor education camp. During the program, we taught students ice-breaking, teambuilding games, camping, cooking competiton, trekking along beautiful Daecheong Lake, and kayaking activity as expecting students to learn 'sense of self', 'understanding community', 'exploring nature world', and 'outdoor competence'. 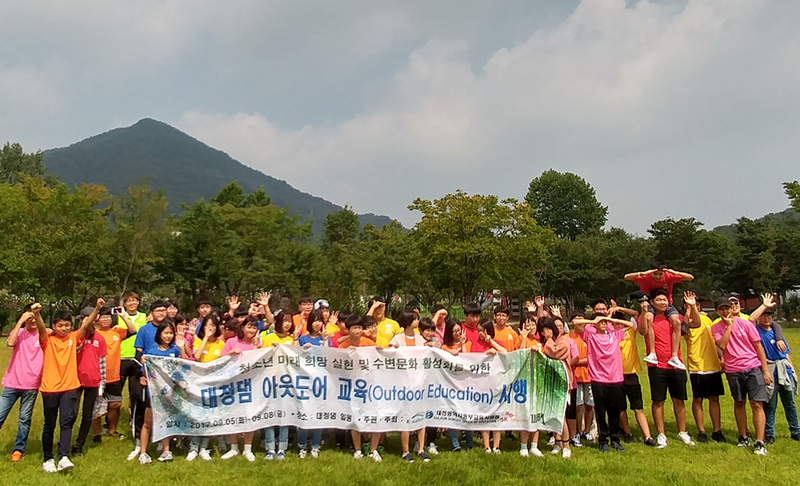 All crew of organazations involved in this Daecheong Outdoor Education Program were happy since we saw so many students' bright smile and happy giggling during the program. Again, way to go 'Gilrye Donation'! Daecheong Outdoor Education Program from TeaMax Adventure on Vimeo.